Many people avoid the dentist because of overwhelming fear and anxiety, leading to unnecessary oral health problems. Others are simply afraid of the discomfort that they believe comes with so many dental procedures. If this describes you, Dr. Byron McKnight can use sedation dentistry to lessen your discomfort and dental anxiety. 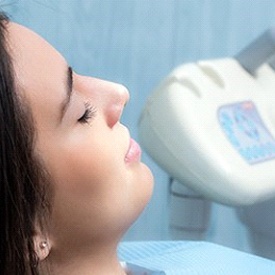 Dr. McKnight offers oral sedation to provide deep relaxation during your dental procedures. Once Dr. McKnight has determined that you can safely take an oral sedative, he’ll prescribe Halcion to be taken approximately one hour before your visit. During your procedure, you will feel drowsy while remaining awake, and some patients become so relaxed that they don’t remember much about the procedure afterward. Dr. McKnight provides sedation dentistry in a safe, relaxing environment where you will be closely monitored at all times. For even more extensive procedures such as a full-mouth reconstruction, Dr. McKnight enlists the help of an anesthesiologist to provide IV sedation in our Mesquite dental office. Your dental phobia can become a thing of the past after experiencing sedation dentistry with Byron McKnight, DDS, MAGD.